Lead is a toxic metal that can be found in apartments, homes, schools, commercial buildings, industrial buildings and other structures built before 1978. In the 1980s, the Environmental Protection Agency has limited the amount of lead used in paint, gasoline, plumbing, toys and other consumer products. As a homeowner, home buyer or manager of an apartment building or commercial building in Oakland, Fremont, Hayward, Berkeley, San Leandro, Alameda, Union City, Pleasanton, Newark and Dublin or another area, you may find it necessary to hire a local Alameda County lead inspection company to perform a lead risk assessment or a full-scale lead inspection. The articles below will help you understand the dangers posed by lead, where lead can be found, and your lead inspection options. Lead is found everywhere—air, soil and water. Lead can be found in any building built before 1978. In fact, paint manufactured before 1975 contained up to 50 percent lead. Now, lead content in paint must be below .01 percent, and lead in water and air is also strictly monitored. There is no safe level of lead, and even minor exposure to lead can lead to lead poisoning. Lead can be dangerous and even fatal if swallowed, inhaled or absorbed through the skin. Children, especially those under the age of six, are especially susceptible to lead poisoning. Children who come into contact with lead dust or lead soil may ingest lead particles by putting their contaminated fingers into their mouths. Small children may also eat small paint chips, put lead-tainted toys into their mouths or even chew on surfaces that are covered in lead-based paint. Symptoms of lead poisoning include nerve damage, irritability, lack of muscle coordination, mental impairment,and reproductive problems; occasionally, lead toxicity can lead to seizures, coma and, eventually, death. Pregnant women can transfer lead toxicity to their unborn babies. What Types of Lead Inspections Are Available in Alameda County? Professional lead inspections are required to determine whether lead is present in homes and other buildings, and the levels of lead present. Lead risk assessment: a lead testing assessment that includes inspecting the home for deteriorating paint, lead dust, and lead soil around the home. Lead hazard screening: a simple lead test for homes that are in good condition and have little or no chipped, flaking, bubbling or peeling paint. Lead-based paint inspection: an inspection that tests all interior paint and exterior paint for lead. Lead water test: this lead test evaluates tap water for the presence of lead, which may be leaching from lead pipes or lead-based solder. Ask your Alameda County lead inspector to tell you which lead tests he or she recommends for your home or business. You may be tempted to use a home lead testing kit to test your own home for lead. While these tests can be helpful in some cases, they are not considered reliable by the EPA or HUD. Lead paint is often covered by several layers of newer paint, which may not be lead-based. DIY lead tests are only able to test the top layer of paint for lead, so they may be unreliable in testing for lead-based paint. These kits may be useful in testing toys, ceramics, pottery, and other household items for the presence of lead. Why Trust Diamond Certified Lead Inspection Contractors Rated Highest in Quality? Lead inspection services in Alameda County provide similar services, and those in Dublin, Newark, Pleasanton, Union City and Alameda and beyond that offer the same quality may have fairly similar prices. Therefore, it’s important for you to have a list of qualifications you’re looking for before you being calling local lead inspectors. Think about the questions below and keep a written list of your answers to help you make the best hiring decision. Do I want a Diamond Certified lead inspection service that is rated best in quality and backed by the Diamond Certified Performance Guarantee? Do I need a lead inspection for my home, business, apartment building, rental property or other building? Am I selling or renting the home or building I need inspected for lead? What areas of the building am I concerned about (lead pipes/lead in tap water, chipping or peeling paint, interior lead paint testing, exterior lead paint testing, etc.)? 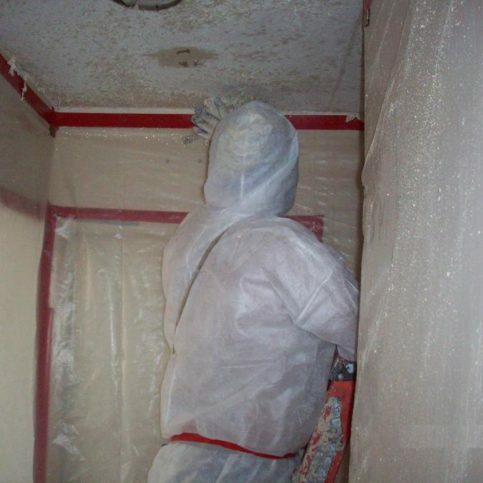 What is my budget for lead paint inspection services? What personal and professional skills and characteristics do I expect from my Alameda County lead inspection company and the lead inspector I’ll be dealing with? Once you’ve narrowed down the list of lead inspectors that meet your needs, you’ll want to invite the best to visit your home or building to see the job and offer a bid for the lead inspection. How long will the lead inspection take? What lead testing services do you recommend for my home, commercial building, childcare center, school or apartment building? What is your approach to a lead inspection on a building like mine? Will you provide me with recent customer references for clients who had similar lead-based paint inspections to the one I need? If my home or building is located in Emeryville, Ashland, San Lorenzo and Russell City or a rural area, will you charge an extra travel fee? What can I do to make the lead inspection more successful? It’s best to choose a Diamond Certified lead inspectors in Alameda County because all certified companies have passed an in-depth ratings process that most other companies can’t pass. If you want quality from lead-based paint inspectors in Alameda County and the greater Bay Area, you can have confidence choosing a Diamond Certified company. Diamond Certified reports are available online for all certified companies. And you’ll never be fooled by fake reviews. That’s because all research is performed in live telephone interviews of actual customers. If you can’t find a Diamond Certified lead inspector in Pleasanton, Berkeley, Union City, San Leandro and Alameda or within reach, you’ll have to do some research on your own. If you do, it’s wise to call some references provided by your Alameda County lead-based paint inspector. References provided to you by local EPA certified lead inspectors are not equal in value to the large random sample of customers surveyed during the Diamond Certified ratings process, however. That’s because references given to customers by lead-based paint inspection companies are cherry-picked instead of randomly selected from all their customers. So the lead inspectors will likely give you a few customers to call that they know are satisfied. If you do call references on your own, specifically ask for a list of the lead inspection company’s 10 most recent customers. This will help avoid them giving you the names of only customers they know were satisfied. 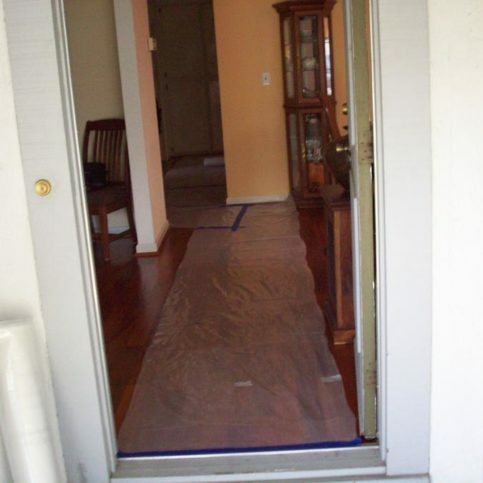 Were you satisfied with the lead inspection services from _(name of the Alameda County lead inspector)_? Did the lead testing service complete the inspection when and as promised? 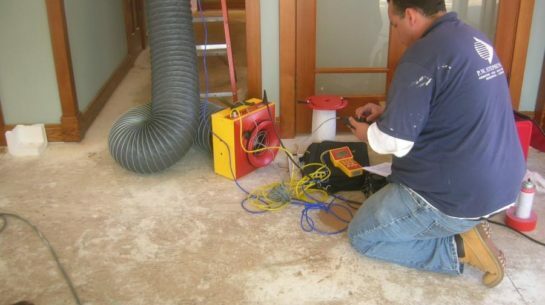 Did the home lead testing services communicate well with you? Was the lead inspector on time, clean and polite? 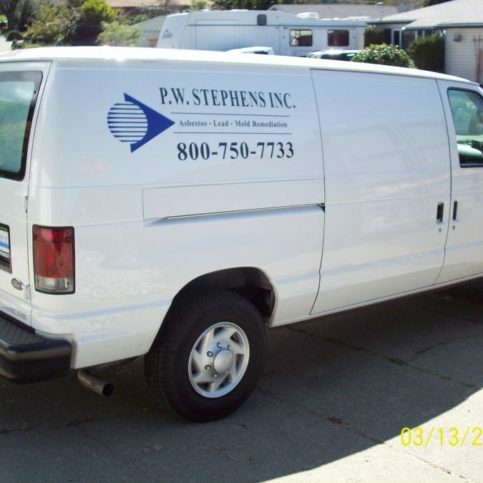 What was the best part of working with this lead-based paint inspection service? Was there anything that didn’t go as planned or that you didn’t expect? If so, what was it? Was it avoidable? Was this lead inspector willing to come to your home even if you live in Mount Eden, Piedmont, Cherryland, Emeryville and Castro Valley or a rural area? If you need further lead inspections in the future, will you consider hiring this Alameda County lead inspector again? Does one of the Alameda County lead inspectors seem like a better option than the others? Is there an Alameda County lead inspection company that can meet your lead inspection needs in terms of type of lead testing, scheduling and services? Are the lead-based paint inspection services that you’ve interviewed knowledgeable about lead inspections and the lead tests you need at your home or place of business? Will the lead-based paint inspectors in Oakland, Fremont, Hayward, Berkeley, San Leandro, Alameda, Union City, Pleasanton, Newark and Dublin or your area provide a certificate to prove whether your home or business has passed the lead inspection? Do you feel at ease with the lead inspectors you’ve spoken with? You’ll want to ensure your lead inspector tests the window frames, window sills, doors and door jambs, trim, siding, cabinets, painted furniture, baseboards, the soil around the home’s foundation, play areas with bare dirt, soil under peeling or chipping paint, near roads, and areas where pets or children may come into contact with bare dirt. You’ve started by narrowing down your list of potential hires by confirming each of the Alameda County lead-based paint inspectors is certified, licensed and insured. Then, you called local lead home inspectors and interviewed them over the phone before inviting them to bid on your job. Now, you can fairly evaluate each of the lead inspection companies in Dublin, Newark, Pleasanton, Union City and Alameda and your area to find the one that provides the services and lead testing you need. Talk with the Alameda County lead inspectors and ask which lead tests they recommend, and what you can do to ensure you get accurate results. You should also ask if there is anything you can do to aid them during the lead inspection. You’ll want to sign a contract for home lead inspection services. This may be as easy as signing the estimate you were initially given. The document you sign should include the inspection price, the lead inspection date and any requests or verbal agreements. You should also make sure any guarantees are represented on the contract. Remember, any document you sign becomes legally binding, so never sign an incomplete or blank estimate or one you don’t understand or don’t agree with. How Can You Be a Good Lead Inspection Services Customer? You can benefit by being a good customer when dealing with lead inspectors in Alameda County and your area. Lead inspection contractors appreciate customers who are straightforward, honest and easy to work with. Your good customer behavior sets the tone from your end and creates an environment conducive to a good relationship. 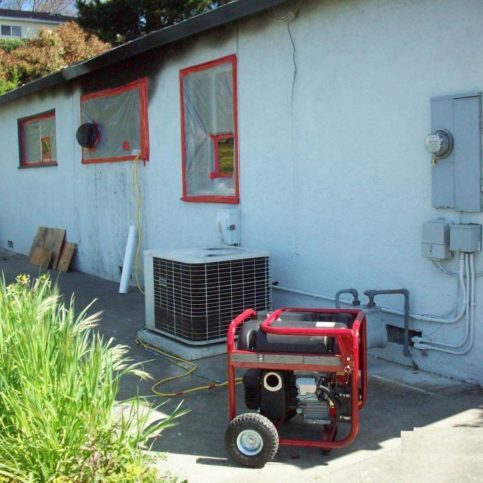 Whether you live in Oakland, Dublin, Fremont, Newark and Hayward or another area, the following tips will help you get the best results from your deal with an EPA certified lead inspector in Alameda County. Be upfront during your dealings with the home lead inspector you’ve hired. Let them know the lead inspection services you need and specific ways they can satisfy your expectations. Remember, remaining friendly, personable and courteous will help maintain a good working relationship with your Alameda County lead inspector. Before you hire a lead inspection company in Alameda County restate your expectations and reiterate your understanding of the agreement. Most problems with local lead home inspection services occur because of a breakdown in communication. By being clear about your expectations and theirs, you can stop most conflicts before they begin. Ask your lead-based paint inspector if you should call to check on the progress of the lead test results or if they will call you with updates. Be sure your service representative has a phone number where they can reach you. Pay for the lead inspection services on time and as promised. After the lead testing has been completed, ask your home inspector to explain what they’ve tested and how. Review your invoice and make sure the lead inspector you’ve hired has tested the areas and materials that were promised in your contract. The name, physical address, EPA certification number, and state license number of the Alameda County lead testing contractor. A detailed list of all lead inspection services performed. The total cost for the lead testing services, including an itemized amount due for labor and outside testing fees. A written explanation of any guarantees backed by the lead inspection company. Not all Alameda County lead inspectors guarantee the accuracy of their test results. However, those that do should provide you with a written document that outlines the details of the guarantee and how it protects you. The Alameda County lead testing contractor’s name, physical address, state license number and EPA certification number. A description of what is guaranteed. This should include whether the lead inspector will redo the test, provide a refund or make recompense in another way if the lead-based paint testing is inconclusive or does not provide the results promised. Any exclusions to the guarantee must be explicitly stated. Your responsibility in the case of a problem with your lead inspection services and what you need to do in order to claim the guarantee. How long the warranty is valid, and whether it expires on a specific day or is prorated. If the guarantee is transferable to the new owner if you sell the home or commercial building in which the lead inspection was performed. Lead inspection services are as varied as the needs of the customers they serve. However, there are some lead inspections that are more common than others. Those listed below are some of the more popular requests made of lead home inspectors in Alameda County and the rest of the Bay Area. Lead inspections can be performed on lead-based paint on interior or exterior services, tap water, soil contaminated by paint chips and sanding paint, soil contaminated by leaded gasoline and even lead from industrial air pollution. Lead inspections can show the presence of lead and the amount of lead present in homes and businesses in Pleasanton, Berkeley, Union City, San Leandro and Alameda and beyond. Lead paint can be found in homes built before 1978. Lead paint that is chipping, cracking, bubbling, peeling, or disturbed during construction or sanding can release lead which can cause major health problems including brain damage, slowed growth, reproductive problems, nerve disorders and muscle and joint pain. Lead-based paint is especially dangerous to children, pets and adults with weakened immune systems. Tap water that runs through lead plumbing, such as old lead pipes or lead solder, can become contaminated with dangerous levels of lead. Lead may also leach from new pipes, even those labeled as lead-free. During the first five years of a new pipe’s life, lead may leach from the piping. After five years, mineral build-up reduces leaching. Home testing kits for lead are available. However, these home lead tests aren’t considered reliable by the EPA. These tests can give you an idea of whether lead is present in your home, and are especially useful for testing toys and single surfaces. 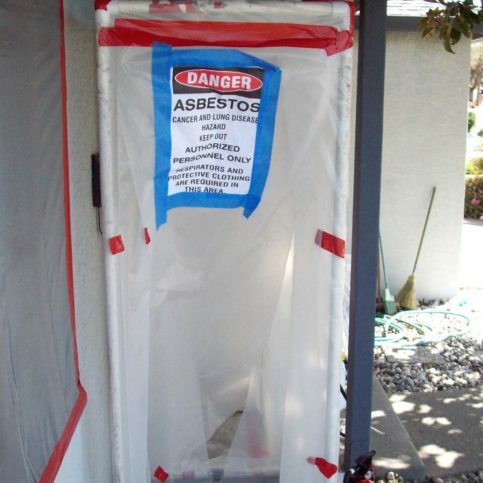 You should rely on a professional lead inspection service in Alameda County for official test results. Lead-based paint inspectors often abide by a house inspection checklist that ensures they test all necessary surfaces to determine if there is lead present in homes or facilities occupied by children. The Environmental Protection Agency (EPA) provides certification programs for lead contractors to help them effectively and efficiently locate and evaluate sources of lead poisoning. Lead-based paint risk assessments are inspections of homes for deteriorated paint that need to be tested for lead. A complete lead assessment should include testing of the soil around the home for the presence of lead. Lead risk assessments are usually performed before the sale of a home. By law, you have 10 days to secure a lead risk assessment before your home sale contract is finalized. Soil can become contaminated by lead through the scraping, sanding or leaching of lead-based paint; or it may have been contaminated by coming into contact with leaded gasoline before it was outlawed in 1978. Testing soil for lead proves if lead is present and how much is there. Children are the most common victims of lead poisoning. Schools and childcare facilities in Oakland, Fremont, Hayward, Berkeley, San Leandro, Alameda, Union City, Pleasanton, Newark and Dublin and other areas that were built before 1978 should be tested for lead present in paint, tap water and soil. Home inspection reports should be presented for all homes and buildings tested for lead. These inspection reports should detail what areas and substrates were tested, whether lead was found, and the amount of lead found. The lead reports should also contain suggested steps for homeowners to take to remove the lead found in their homes. The following words are just some you may encounter when hiring lead inspectors or lead inspection contractors. A clearance inspection proves whether lead levels are acceptable. The lead inspector who performed the inspection must fill out a Certificate of Acceptable Clearance Status in order for the building or home in question to prove that the structure has passed the inspection. Environmental lead inspectors are people who have been trained and certified to perform environmental lead inspections in homes and businesses. 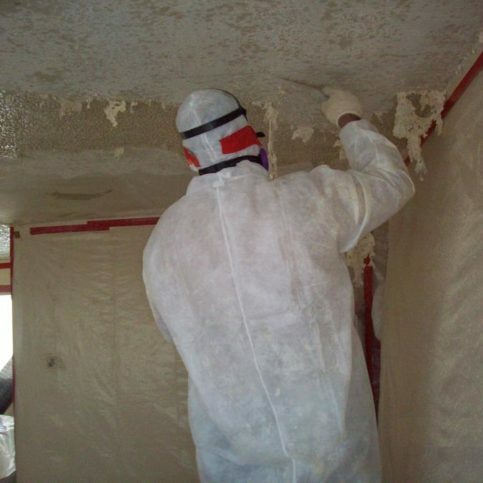 Environmental lead inspection technicians are individuals who have been trained and certified to perform environmental lead inspections in homes and businesses under the supervision of a certified environmental lead inspector. Lead hazard control is the repair, modification or removal of lead-containing surfaces including lead paint. Lead inspections usually include a visual assessment, dust sample testing, submission of samples for analysis testing, breakdown of test results and a prepared report that shares the findings of the lead inspection. Buildings and facilities that are required to pass a lead inspection are known as lead regulated buildings. These buildings include single-family homes, owner-occupied homes with children under the age of six, daycare facilities and childcare facilities, schools, and any other home or building where children under six will live or spend more than14 days per year. Lead based paint and other coatings include paints, varnish, stain, shellac, polyurethane and other surface coatings that contain lead. Lead-based paint hazards are any conditions or occurrences that expose people to unsafe levels of lead present in paint and other coatings. Conditions that may expose the lead in paint include old paint, chipping lead paint, deteriorated lead paint, damaged or cracking paint, friction or rubbing/sanding of lead paint, chewable lead paint surfaces (young children may be tempted to chew on painted surfaces such as windowsills), lead paint dust or even lead paint-contaminated soil. Any building component that may be covered in lead paint or have lead paint-contaminated dust is considered a potentially-hazardous lead building component. Potential lead contaminated building elements may include walls, window sills, stairs, flooring, railing, metal surfaces, ceilings, trim and windows and doors. Lead testing services should test all of these surfaces when performing a thorough lead inspection. Lead paint that is deteriorating is a main source of lead contamination in homes and other buildings. Lead inspectors will look for contaminating sources of deteriorating lead paint including damaged paint on surfaces, flaking lead paint, blistering or bubbling paint, cracking lead paint, chalking, peeling and chipping lead paint, or lead paint that is separating from the underlying surface. After lead paint has been removed from a home or building, a lead clearance examination must be performed to determine whether a building is free from lead paint and suitable for habitation. Lead clearance testing includes a visual assessment, analyzing dust samples, and preparing a report on the findings. This test must be done by a certified lead inspector that was not involved in the lead paint removal. 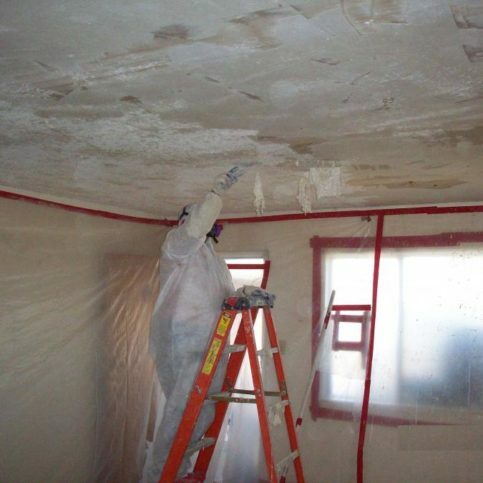 Lead paint inspections are performed by professional lead inspectors. These tests are performed by lab analysis or x-ray fluorescence (also known as XRF), and they determine the lead content of painted surfaces. Visual lead paint assessment is usually the first part of any lead inspection. Visual assessment is a visual evaluation of interior and exterior surfaces to identify potential problems that can lead to exposure of lead paint risk. Certified lead inspectors are trained to perform visual assessments so they know which areas to test for lead paint exposure. This program accredits laboratories that analyze environmental samples for lead in paint, soil, dust and other surfaces and materials. The Environmental Lead Proficiency Analytical Testing Program ensures that the laboratories providing the testing produce reliable and accurate lead testing results. Home lead inspections are lead tests performed in homes, apartments and other residential buildings. These lead inspections are required for homes where children under the age of six live or will live for more than 14 days within the next 12 months. 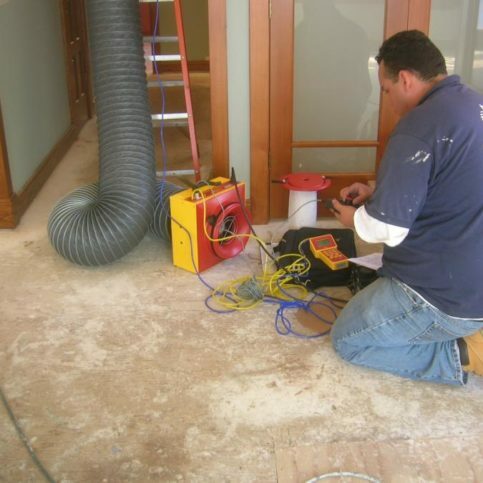 Home lead inspections must be performed by a certified lead inspection company. 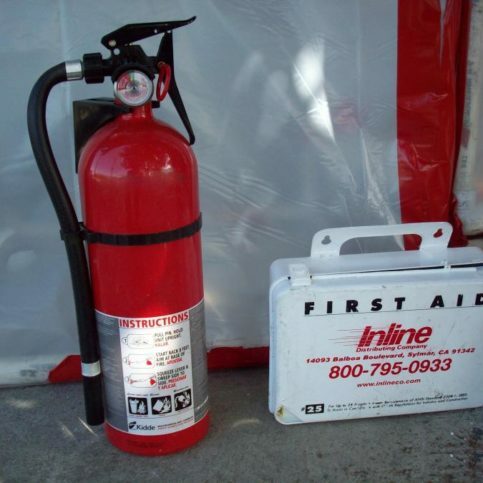 Lead paint test kits are home testing kits that can prove the existence of lead paint. These tests are good for DIY home remodelers worried about disturbing lead paint, or people who are concerned that their homes may contain lead paint. While helpful, these tests are not a substitute for professional lead inspections provided by certified lead inspectors. Q: Why choose a Diamond Certified lead inspection company? A: Diamond Certified helps you choose a lead inspection service with confidence by offering a list of top-rated local companies who have passed the country’s most in-depth rating process. Only lead inspection services rated Highest in Quality earn the prestigious Diamond Certified award. Most companies can’t pass the ratings. American Ratings Corporation also monitors every Diamond Certified company with ongoing research and ratings. And your purchase is backed by the Diamond Certified Performance Guarantee. So you’ll feel confident choosing a Diamond Certified lead inspector. A: Lead is a toxic metal. However, it was used in many household products until it was listed as a public health hazard. The EPA has listed lead as a toxin since about 1980, and is now working to reduce the amount of lead used in consumer products. Other countries, including France, Germany, Australia and Japan, banned the use of lead paint in residential homes as early as 1870. Today, almost eight in 10 reports of lead poisoning stems from lead paint used in apartments and homes built before 1978. Q: Where is lead found? A: Lead is most commonly found in buildings (including homes and apartment buildings) that were built before 1978. These buildings may have many sources of lead contamination, including lead paint on walls and other surfaces, soil that was contaminated by paint chips from the exterior of the home or leaded gasoline, and old lead pipes or lead solder that leaches lead into the tap water. Newer homes may also experience lead contamination from new pipes. Even so-called lead-free pipes may contain up to eight percent lead. This lead can leach into tap water for up to five years after installation, or until minerals build up on the inside of pipes and slow down the leaching process. Q: Why is lead paint considered dangerous? A: Lead can be introduced to the body through swallowing, inhalation or absorption through the skin. Children are most prone to lead toxicity because they may ingest paint chips, chew on painted surfaces or come into contact with lead dust. Lead exposure can cause brain damage, damage to the central nervous system, learning problems and behavior problems in children, lower IQ, stunted growth in children, hearing problems, headaches, reproductive problems, birth defects, high blood pressure, digestive problems, nerve disorders, memory problems and muscle and joint pain. Q: What is a lead inspection? A: Lead paint inspection is a series of tests for lead provided by a certified lead inspector. These tests run the gamut from lead dust testing, lead paint testing and testing of water for lead. Talk with your local lead testing company to learn which lead tests may be required for your home. Q: Is lead dust testing a part of a lead inspection? A: Lead dust is often tested as part of lead inspections. Lead dust is invisible to the human eye, but can easily be tested for the presence of lead. Confirm with your lead inspector that he or she will be testing for the presence of lead dust. Q: What is a final lead inspection? A: Final lead inspections are those performed after the removal of lead-based paint or contaminated surfaces. Final inspections are an important part of the lead removal process, and they should be performed by certified lead inspectors that are not associated with the lead removal contractors to avoid any chance of a conflict of interest. Q: What should I know before buying an older home? A: Homes built before 1978 may contain lead paint. Sellers must disclose the presence of lead-based paint in all homes and buildings. However, the seller is not required to test homes for lead or to pay for lead inspections. Sellers should provide lead inspection reports if any have been conducted. Your real estate agent should also share with you the potential hazards of lead paint. Keep in mind that lead-based paint disclosure doesn’t apply to foreclosed homes. As a home-buyer, you may hire a lead inspector to perform a lead inspection. Q: How do I know if lead paint is present in my home? A: You must have a certified lead inspector perform tests on your home. These may be water testing for lead in tap water, a lead risk assessment which looks for deteriorated paint, lead-based paint inspection on all painted surfaces inside and outside of the home, and lead hazard screening for homes in good condition with little flaking or chipping paint. Q: Is a home lead testing kit a good alternative to professional lead inspection? A: Home lead testing kits are available, but they can only give you an idea of whether lead is present. The EPA and HUD do not allow chemical spot testing or home lead testing to be used as an official evaluation method of lead inspection. Kits may give unreliable results due to the layers of new, unleaded paint that may cover old lead paint. Q: How much does a lead inspection cost? A: Lead inspections usually cost $300 or more, depending on the size of the home and the lead testing required. Call your local lead inspection company for a bid on the lead tests your home or building may need.